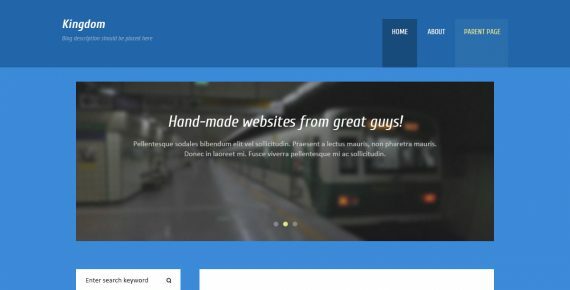 Kingdom is a WordPress PSD template which combines minimal and unique design. 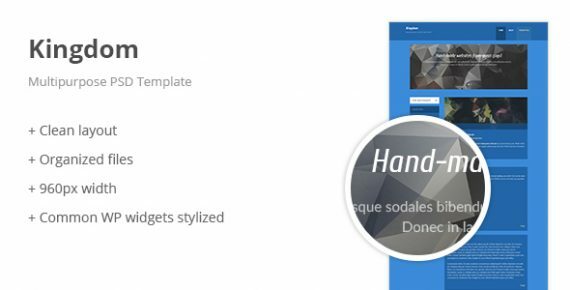 This template can be used as a blog for creative designers, developers, freelancers, agencies or a platform from which you can promote your product or service. It has a great structure that can make your business more effective. Technologies used: 960gs, Adobe Illustrator, Adobe Photoshop, Graphic design.